Over on his Theropoda blog, Andrea Cau has been watching the trailers for Jurassic World, noting that a lot of the dinosaurs actually look more retro than those in previous entries in the franchise - in fact, they resemble palaeoart of the 1940s-60s. Given the imminent release of said film, it's surely quite apt that the art in this week's post is exactly of that bent, and is looking extremely dated nowadays. Of course, the book concerned was published forty-two years ago. ...at its core, fieldwork still relies on patience, luck, and a strong back to carry enough water to fight off lingering hangovers. - Brian Switek, from his "Have Allosaurus, Will Travel" Kickstarter campaign page. Brian Switek prepares to enter Natural Trap Cave. Photo by Eric Scott. Brian Switek is on a mission to tell a story. For years, he has carved out a niche as a journalist of life's history, and has written about every major palaeontology story in recent memory. More importantly, he's shed light on many that don't hit the front pages. He's told these stories via the various incarnations of his Laelaps blog, as a freelance reporter, and as the author of the popular Written in Stone and My Beloved Brontosaurus (as well as his new Prehistoric Predators, featuring the art of Julius Csotonyi, which I reviewed last week). Next, he intends to tell the stories of the men and women who work for months in conditions most people wouldn't tolerate for a day to make the shiny museum exhibits and cavorting CGI saurians possible. He describes it as a need more than a want. To make this possible, he's raising funds via Kickstarter to allow him to spend the summer traveling between 10 important dig sites across western North America, spanning the last 250 millions years of Earth's history. I love this idea. Pop-palaeontology often jettisons the uncertainty and debate that surround discoveries. Look no further than the NatGeo Spinosaurus blitz of last year, in which the publication of new fossil material was accompanied by a documentary, magazine cover story, and museum exhibition. These publicity efforts sell the public a story, one that tends to elide the "more research is needed" that is almost always part of a research paper's conclusions. Brian is on the road now, but took a few minutes to do a brief interview about the project. What do you think are the major misconceptions people have about the way field work and other research is undertaken? Have a look at paleontology news items. Most of them are about the results of science - the naming of a new species, or a discovery about the way a particular animal lived. The passion of paleontology - the thing that keeps people trudging through deserts and spending countless hours in the lab - is often missing. That's symptomatic of science storytelling in general. The result is the focus rather than the process. And even though the first Jurassic Park film came out over 20 years ago, it partly fills that void. I regularly get asked whether paleontologists use ground-penetrating radar to find fossils (nope) and there's often an assumption that dinosaurs come out of the ground as lovely, articulated skeletons (that's rare). The truth is that fieldwork roughly resembles how it was done a century ago. Making an important discovery starts with being dirty, sweaty, tired, and possibly hungover on long desert hikes where you feel like your brain is going to boil out of your ears. And when you find a fossil of note, it's often the beginning of commitment that involves years of digging, chipping, studying, and puzzling. It takes a special kind of madness to enjoy this kind of work, but it's that human story that I want to tell. What media - writing or otherwise - do you think has done a good job of telling the story of palaeontology? Some of the best works on the process of paleontology are books that look at the history of the discipline. Some that immediately come to mind are Paul Brinkman's The Second Jurassic Dinosaur Rush, David Rains Wallace's The Bonehunters' Revenge, and the harder-to-find biography of O.C. Marsh by Charles Schuchert and Clara MaeLeVene. Maybe it's because we're more distant from these researchers - and their dinosaur-sized personalities - so we feel more comfortable talking about their successes as well as their faults. Whatever the reason, these books are at the intersection of science and the personalities that drove it. Do you have a favorite field site you've visited? I don't know if I can choose! I've been lucky enough to work at a variety of sites around the west over the past four summers, and each has its own flavor. Quarries brimming with bone, such as Ghost Ranch, are nice, but there's nothing quite like the thrill of going prospecting to find a new site. So even though I can't pick a favorite, I'll say that I'm the most excited about the Cleveland-Lloyd Dinosaur Quarry. It's a rich Jurassic boneyard full of Allosaurus, and last summer I found a new dinosaur site outside the main quarry. I don't know what dinosaur it is or how much is in the rock, but in a few weeks I'll be going back to find out. Best of luck to Brian in his efforts - I know firsthand how difficult crowdfunding can be. At the time of this posting, he has a week to raise about half of his funds, so please do consider pitching in and spreading the word on social media. 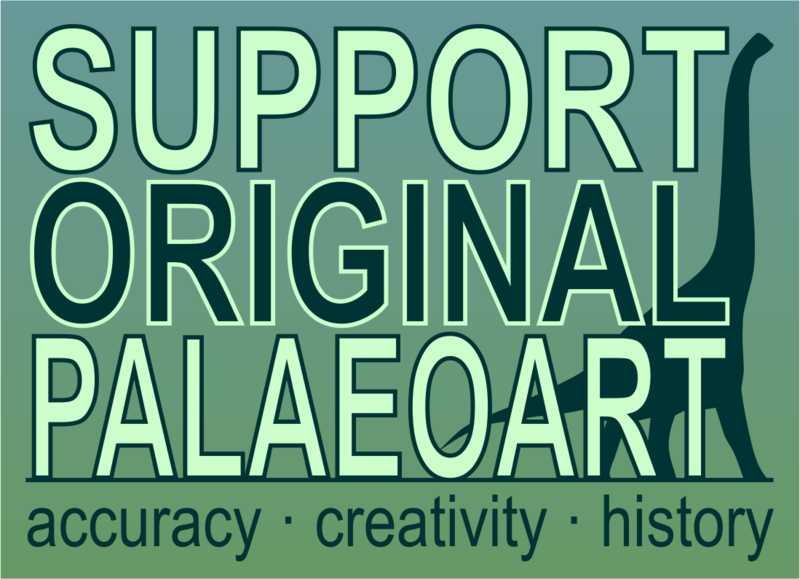 Let's help him in this effort to sing the praises of palaeontology's usually unsung heroes. Two years ago, after the director of Jurassic World confirmed that the movie would not feature feathered Velociraptors, John Conway wrote a brief but influential blog post about the effects of what he called Awesomebro culture on perceptions of nature and, specifically, palaeontology. 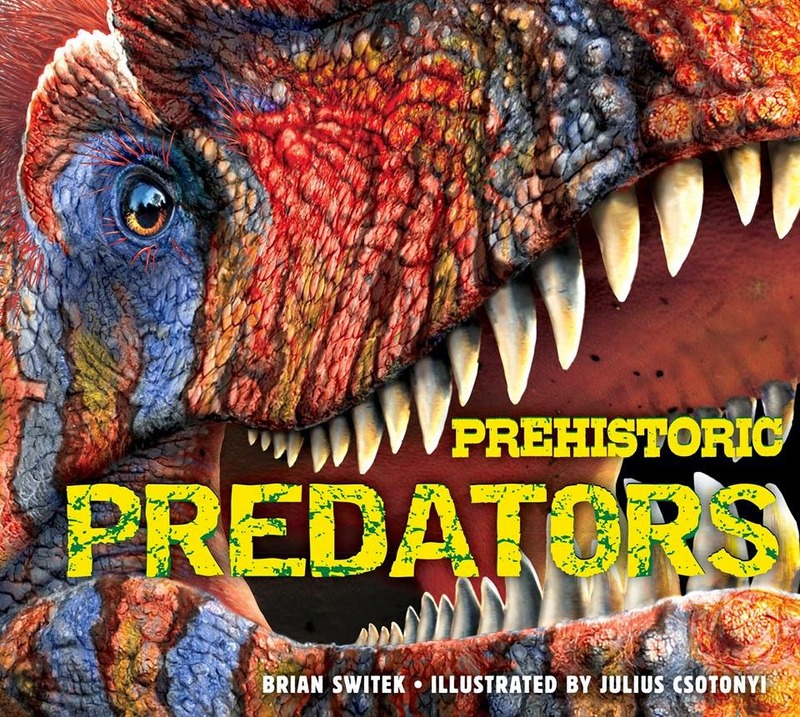 While pitched at a popular audience, Prehistoric Predators, newly published by Cider Mill Press, hits the scene at a time that palaeoart hobbyists, professionals, and enthusiasts are looking critically at the ways that palaeoart can evolve in a pop culture that still holds on to a view of dinosaurs as monsters. Illustrated by Julius Csotonyi and written by Brian Switek, the book is tightly focused on its titular topic, offering almost a hundred pages of ancient beasts in the heat of predatory action. In the hands of lesser talent, a project like this could go off the rails. But Csotonyi has proven himself time and time again in his adherence to accuracy as well as drama, and Switek is the most prominent writer continually working the palaeontological beat, not afraid of nuance and uncertainty as he portrays the science to his readers. They're supported in the project by an impressive production team, who have wrapped their words and images in a beautiful package. The skin of Csotonyi's vibrant Giganotosaurus close-up cover art features a pebbly, textured surface, with glossy teeth and title text. The end-papers are a pattern made of some of the book's featured predators. And the book is a generous size, measuring just a bit under 12" x 11", as large as it is the the recent Titan Books publications Dinosaur Art and The Paleoart of Julius Csotonyi. With a retail price of $20 US, it's a great deal for the amount of art and information within. The Mesozoic gets the vast majority of the attention, comprising about 2/3 of the book's pages, so there's no doubt about the book's real stars. The theropods of Prehistoric Predators are decked out with feathers and filaments, from the plumes of Ornithomimus to the moss-and-rust fuzz covering Daspletosaurus (an update of his Judith River mural at the HMNS - the original is much less fuzzy). There's a good variety of takes on integument, and though it's not a focus of the text, readers will come away with a view of dinosaurs that is thoroughly contemporary, and for the most part the animals feel real, weighty, as if caught in mid-action by a preternaturally brave photographer. There are spots where feathers are a bit too detailed to my eye, a bit too shaggy, a bit too closely tracing the contours of the body. When dealing with a group of animals experimenting with plumage, I suppose it makes sense to assume that not all would be covered in a "dynamic shell" of feathers, as Matt Martyniuk has put it. It can be hard for me to completely buy illustrations that split the difference between fuzz and full, birdy plumage. But this is an issue that is larger than is wise to tackle in a review. Though the overall project will satisfy anyone coming to see high stakes conflict, we do get glimpses of animals in less extreme circumstances, such as the alvarezsaur Linhenykus keeping an eye on the horizon, Cryolophosaurus wading at the Antarctic coast, or Guanlong drinking water in the amber light of dusk. The book features a handful of new pieces, with my favorite being a spread featuring new-look Spinosaurus squabbling with a pair of crimson-headed Deltadromaeus over a sawfish. Csotonyi has also confirmed that besides the Daspletosaurus noted above, several other pieces that have appeared elsewhere have been revised for new information. 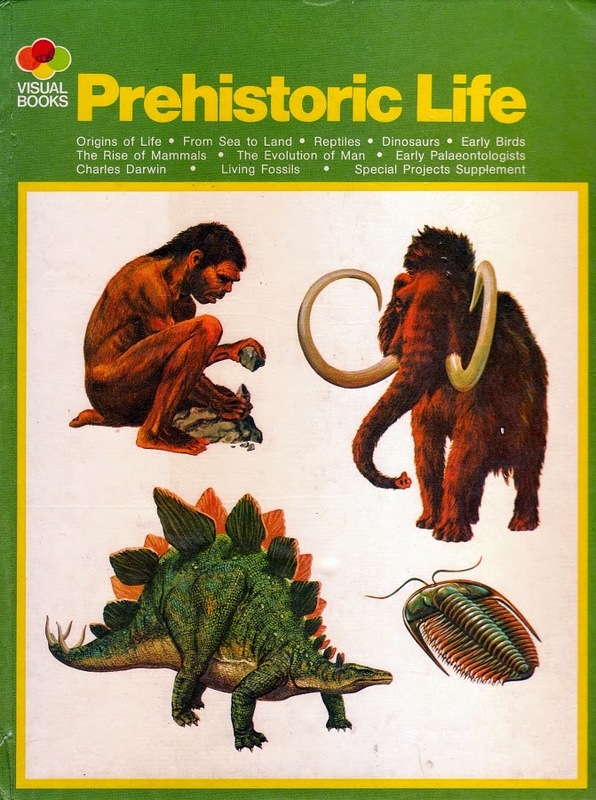 A bit of dodgy stock art shows up, with the worst case being the introduction to the Permian period, and readers familiar with Csotonyi's work would be able to pick those inferior animals immediately, even without warning. For younger readers and others who aren't as familiar with palaeontlogy as LITC readers, this would be a solid choice for an introduction to what we know about the history of carnage-dealing beasts on Earth. Switek ably summarizes the featured geological eras and offers plenty of evidence-based descriptions of the animals. Again, even if we are mostly concerned with feats of predation here, readers learn about their palaeoecology, the varieties of theropod diets, and the ranges of size they attained (still an underappreciated fact, in my experience). Therizinosaurus gets a whole spread, Oviraptor is featured prominently, and Sinornithosaurus is seen from the point of view of its prey animal (with no mention of the controversial claim that it had venom glands). Only a few animals are depicted with scale diagrams, and not all of the "lesser" participants in the illustrations are named, but the amount of information is impressive. Switek's descriptions are approachable and light on jargon, taking confused time-travelers by the hand as they visit these lost worlds and their fantastic denizens. In Prehistoric Predators, the Awesomebro is served up with a hearty helping of modern palaeontological knowledge. I'm optimistic that the book can lead readers to learn more about other aspects of extinct life that are less red in tooth and claw. There will always be a side of palaeontology media that focuses on the monstrous side of life, but that's no different than any nature media. It's refreshing to see it done with such care. Given the despairingly awful recent parliamentary election result in the country in which I happen to live, it's a good thing that Vintage Dinosaur Art is on hand to cheer everyone up. Especially as I've been quite looking forward to writing about this one - it might mostly be a fairly typical book of the period (1985), but it features a few tropetastic pieces that definitely raise a smile. Furthermore, much of the art is actually pretty good - at least at a technical level - and there are one or two early pieces from now well-established names. 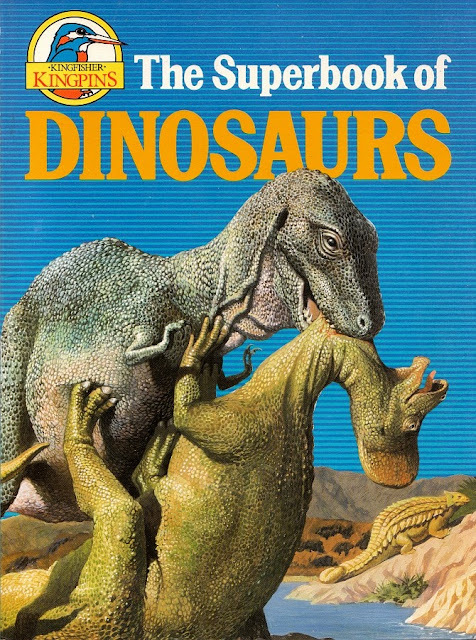 It's no less than The Superbook of Dinosaurs! The Isle of Wight seemed faintly magical to me as a child - I mean, there was Blackgang Chine for a start, but where else could you pull off a country road with stunning views of the sea, cliffs and open downland, drive down a track, enter a farmyard barn and be surrounded by fossils and dinosaur art? (No, don't tell me where else you can do that. I don't wanna know.) The Dinosaur Farm museum, as it was back in the '90s, was stupendously exciting to a dino-entranced kiddiwink - it felt raw and unpolished, with fossil hunters actually preparing their finds on-site, and seemed to show the (very fragmentary) reality of finding fossils. Unfortunately, the museum closed a few years ago - but it was swiftly reopened by former staff members, and is now better than ever. The world is constantly in flux. Nature's erosive forces expose and then deteriorate the traces of prehistoric life. Human communities meet their practical needs by reshaping the natural environment. And though it would be lovely if human concerns only ever preserved fossil resources, it doesn't always work out that way. Such was the case in the Peace Region of British Columbia, when two hydroelectric dams were built on the Peace River in the 1970s, inundated important fossil exposures. While palaeontologists were able to rescue some of the fossils, they could not get everything before the water of the new Dinosaur Lake covered them. Sadly, this included tracksites discovered by Charles M. Sternberg four decades prior. Fast forward another few decades, when a new, extensive tracksite was discovered by a local resident - a resident who thankfully appreciated the importance of the site to our shared natural heritage. They reported the discovery to the researchers at the Peace Region Palaeontology Research Centre who were excited to begin documenting the first major tracksite in the province since Sternberg's sites were lost. The Williston Lake Tracksite. Image from the Indiegogo campaign page. Time is of the essence; not all of our fellow citizens respect prehistoric sites. To save the tracks from vandals and profiteers, the team at PRPRC needs to document the site fully. This is where we all come in. Via the crowdfunding platform Indiegogo, the museum is raising funds to engage in fieldwork at the site. The effort is represented online by palaeontologist Lisa Buckley, who you may know from her blog and Twitter. She graciously agreed to an interview about this campaign, the importance of ichnology in general, and the fossil heritage of British Columbia. To start, can you give a brief introduction to the field of ichnology to readers who may be unfamiliar? 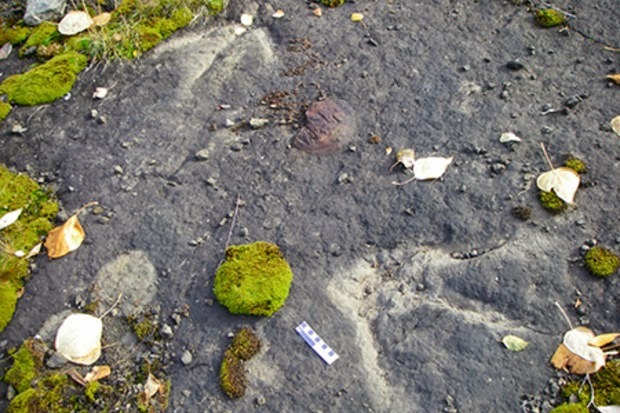 Ichnology, for its basic definition, is the study of any traces left by an organism: burrows, trails, borings, footprints, bite marks, nests... it's the study of how a moving, breathing, living organism interacts with, reacts to, and shapes its environment. It's another window into the lives of extinct organisms. In terms of dinosaurs, which is vertebrate ichnology (study of traces left by vertebrates), it tells us what the animals actually did while they were alive: it compliments what we know from skeletal paleontology. Skeletons give us what the animals looked like and what they might be capable of doing, and ichnology tells us what they did do... as long as it fossilizes. What was your path to ichnology? I was first seriously introduced to ichnology when I went up to Tumbler Ridge in the summer of 2003 to help colleague (and now fellow researcher at the Peace Region Palaeontology Research Centre) Rich McCrea. That summer we were working on British Columbia's first dinosaur bone excavation, but he had been researching dinosaur footprints in the Peace Region since the mid 1990s. On days when we were not on the dig site, he showed me the dinosaur footprints sites in the region. It fascinated me the amount of information that could be gathered from footprints, and how, like modern animal footprints, you can use those footprints to identify what animals were in the area. For a province like British Columbia that was historically dinosaur bone poor but dinosaur footprint rich, these footprints provided the ONLY records for what dinosaurs once lived in BC. My personal research focus is now a blend of skeletal anatomy and ichnology. My doctoral thesis is looking at the correlations between bird foot anatomy and the skeletal features that can possibly show up in bird footprints. Being introduced to trace fossils has given me a much better appreciation for fossils as living organisms with habits, environmental preferences, and complex behaviors. Stepping back a bit further, what experiences first sparked an interest in natural history when you were younger? I have to thank my great-aunt Molly for my interest in natural history. She was always interested in natural history, but growing up in the Depression in a poor family made it impossible for her to go to college. Regardless, she read everything she could find on dinosaurs, prehistoric mammals, and flying reptiles. I remember her telling me that they very first book she had the money to buy when she was 12 was a dinosaur book. One of my earliest memories of her is from when I was preschool age, and she was reading to me from a book on extinct mammals. She was showing me the pictures of Eohippus, the saber-toothed cats, and the giant ground sloths. I must have asked her "how do they know these were real?" because she told me that we know about these animals because people dig them up and study them, and I knew then that was what I wanted to do. Molly is the reason I'm doing what I do today. She has since passed away, but she was alive to see me enter the field of paleontology and help establish the Peace Region Palaeontology Research Centre, and I kept her updated on all of our discoveries. I am very happy I had that opportunity. The Burgess Shale Discovery Site by Edna Winti, licensed under CC BY 2.0. Most of us will be familiar with the Burgess Shale - what other important palaeontological sites are in BC? I'll admit I had a bit of a chuckle regarding "most people being familiar with the Burgess Shale" - I have no doubt that most paleontologists, paleoartists, and paleo-enthusiasts (and readers of your blog!) 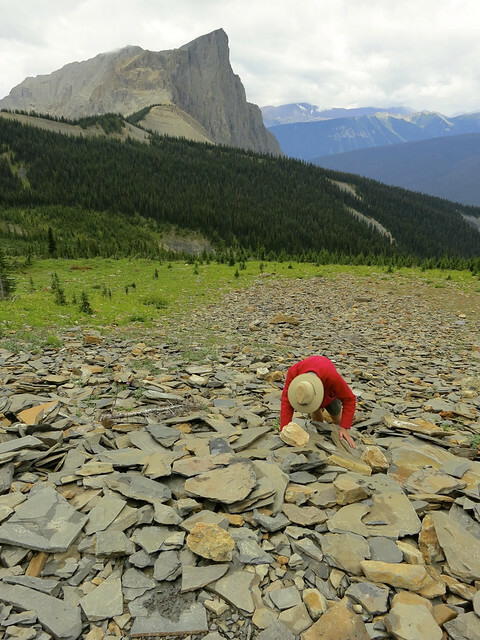 are familiar with the Burgess Shale, but when I ask people not involved with paleontology if they have ever heard of the amazing Burgess Shale fossils near Yoho, it comes as a complete surprise to them! Fossils haven't been part of BC's cultural heritage in the same way that they are in Alberta, and it has taken some time and a lot of public outreach to introduce people to BC's fossil heritage. Slowly but surely we are making progress! Here are the top five sites that pop in my mind when I think of significant fossil sites in BC. A classic BC fossil locality is Wapiti Lake Provincial Park. In this park are outcrops of Triassic-age marine deposits, and this is from where our classic Triassic marine fish like Bobasatrania, Albertonia, Birgeria, and the iconic coelacanth are recovered, along with marine reptiles like ichthyosaurs and thalattosaurs. Andrew Wendruff described an entirely new family, genus, and species of coelacanth, Rebellatrix divaricerca, from collections we made from other Wapiti Lake-equivalent outcrops in other parts of the Peace Region. This story is great because the holotype specimen was discovered by a (then) 11 year old girl who used to live in Tumbler Ridge. With marine reptiles in mind, the Pink Mountain site is from where the late Dr. Elizabeth Nicholls with the Royal Tyrrell Museum recovered the giant ichthyosaur Shastasaurus sikanniensis. That site is in the BC Peace Region near Fort St. John. That ichthyosaur is a monster of a beast! Turning back to dinosaurs, we are planning for continuing our excavation of BC's first (mostly) complete dinosaur skeleton. This is Late Cretaceous in age (late Campanian-early Maastrichtian), and it is a site that contained an articulated skeleton of a lambeosaurine hadrosaur. 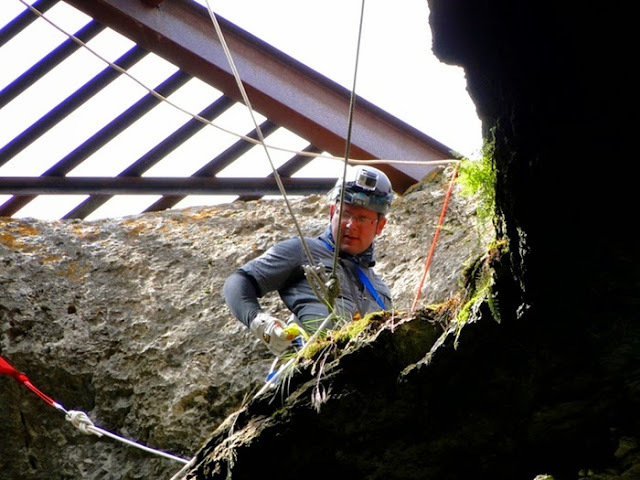 The helicopter airlift of the skeleton is featured in Episode 2 of "Dino Hunt Canada". We need to return to that site, because in 2013 we discovered that there is more than one skeleton preserved. We may be dealing with a hadrosaur bonebed. One of my favorite sites is the BC tyrannosaur tracksite. The site is late Campanian - early Maastrichtian in age, and shows three beautifully preserved trackways of the same type of large theropod, walking in the same direction and roughly spaced evenly from one another. The sediment even preserved skin impressions with the footprints. This paper came out in PLoS One in 2014 (A Terror of Tyrannosaurs). Preserved at this site are more beautifully preserved footprints of hadrosaurs, medium-sized theropods, and ankylosaurs. This is another track surface that needs excavating: all of the tyrannosaur trackways continue on the track surface under a steep, high hill. We need to expose more of that track surface to see what other tyrannosaur behaviors might be preserved. Last but not least, we have the dinosaur tracksites from within the boundaries of the newly established Tumbler Ridge Global Geopark. We have an impressive range of dinosaur track-bearing rocks ranging from 140 million years old to 73 million years old. That's 67 million years of dinosaur history in BC, and for a great deal of geologic time in western Canada, for which there is a sketchy body fossil record. Every terrestrial formation we have examined within the Geopark boundaries contains footprints from vertebrates, which gives us a great picture of how dinosaur communities were changing from the Early Cretaceous to the Late Cretaceous in western Canada. A detail of the tracksite, featuring large bird tracks. Photo from the campaign page. What about the new site, Williston Lake Tracksite, excites you most? The Williston Lake Tracksite represents something that we never thought we would have the opportunity to do, and that's return to the start of dinosaur paleontology in British Columbia. Dinosaur tracks were first documented from the Peace River Canyon near the community of Hudson's Hope in 1930 by Charles M. Sternberg. The tracks were from the Gething Formation (around 115 million years old, Early Cretaceous) and in 1932 he named several new footprint types from the Peace River Canyon: small-, medium-, and large-sized theropod tracks, ornithopod tracks, and one of our favorites, Tetrapodosaurus borealis, ankylosaur tracks. This was the first ever description of an ichnofauna (a relationship of footprints and footprint-making animals in an environment) for Cretaceous footprints. Anyone working on Cretaceous footprints needs to refer back to Sternberg's 1932 works. It would be better still if they could visit the localities of these prints, but they can't - no one can. Although the Province of British Columbia granted the Peace River Canyon tracksites Provincial Heritage Resource status (the highest protective status available at the time) in 1930, all of these historically and scientifically important tracksites were flooded when the Peace River Dam went online in 1979. All of these sites are now entombed under what is now called Dinosaur Lake. There was a huge salvage effort done between 1976-1979 by the Provincial Museum of Alberta (now the Royal Alberta Museum), but no where near all of the tracks could be saved. 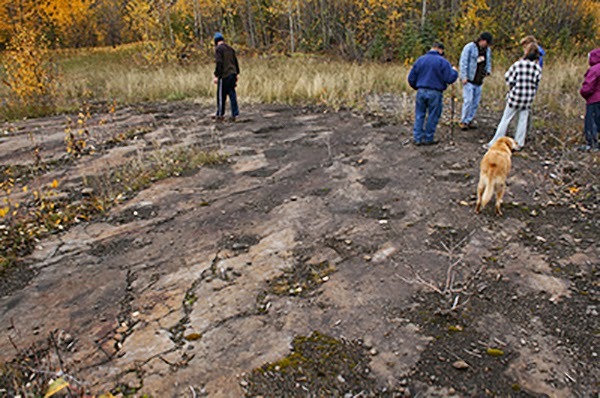 The Williston Lake Tracksite is the first large track-bearing surface from the Gething Formation that has been exposed in 36 years. This site is the closest thing we have to revisiting the classic Sternberg localities, and the first chance we've had to seriously update Sternberg's 1932 track descriptions using footprints from the same formation and in the same region. We never thought we would have the opportunity in our lifetimes to continue Sternberg's work in this formation. Do you know the approximate age of the new tracksite, or if it preserves the same ichnofauna as Sternberg's site? The new tracksite is from the Gething Formation, which is approximately 115 million years old. This is the same formation that Sternberg documented. From what is exposed at the site, we can see that some of the ichnofauna Sternberg documented and named are present: we see the large theropod prints Irenesauripus, and the ankylosaur prints Tetrapodosaurus. So far this is what we would expect to see from the Gething Formation, but there is only a small portion of the tracksite exposed right now. The exciting finds will happen when we uncover large surfaces and examine them in detail. Personally, I'm hoping for more bird footprints from the Gething Formation! Aquatilavipes (small shorebird) was described by Currie in 1981, and we recovered Limiavipes (large wading bird) from close to the area in 2005. The Early Cretaceous was a hotbed for shorebird diversity in Asia - I want to see how similar (or different!) the bird footprint diversity was in similarly-aged deposits in North America. The Williston Lake trackway is certainly a fossil site worthy of proper study. I love the fact that the team at PRPRC is working with the local community to secure the location, including plans to build an interpretive center at the site. The financial mountain the team has to climb is a tall one, though - see the project budget detailed at Indiegogo. So please share this interview and links to the campaign page far and wide. And, of course, donate as you are able. Thanks to Lisa for taking the time to answer my questions. I wish the team the best of luck in reaching their goal!